If you’re in the market for a high-quality tent for regular camping trips, REI is a great retailer to check out. 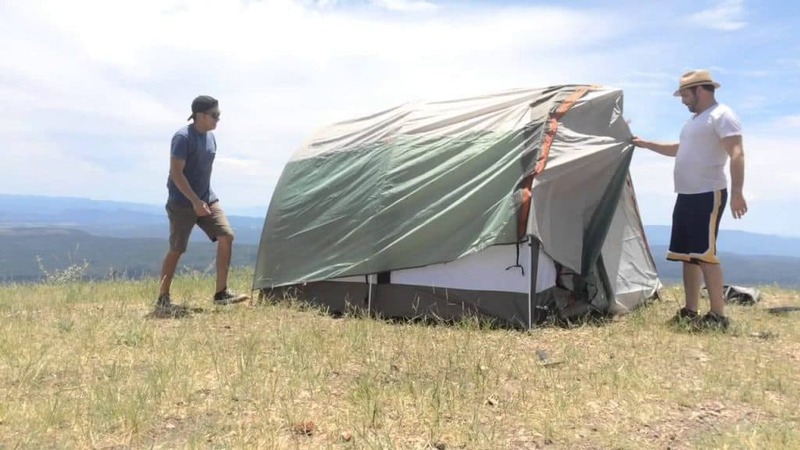 On top of offering tents from a variety of some of the best outdoor brands, they also have their own line of shelters. 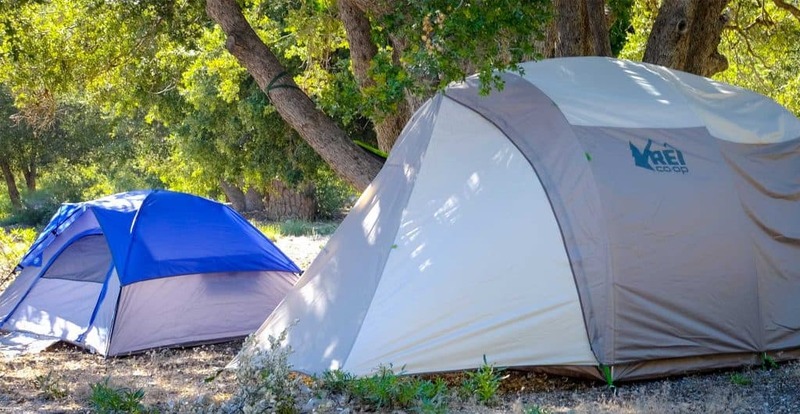 REI brand tents are nicely designed and, for the most part, are more affordable than high-end brands. 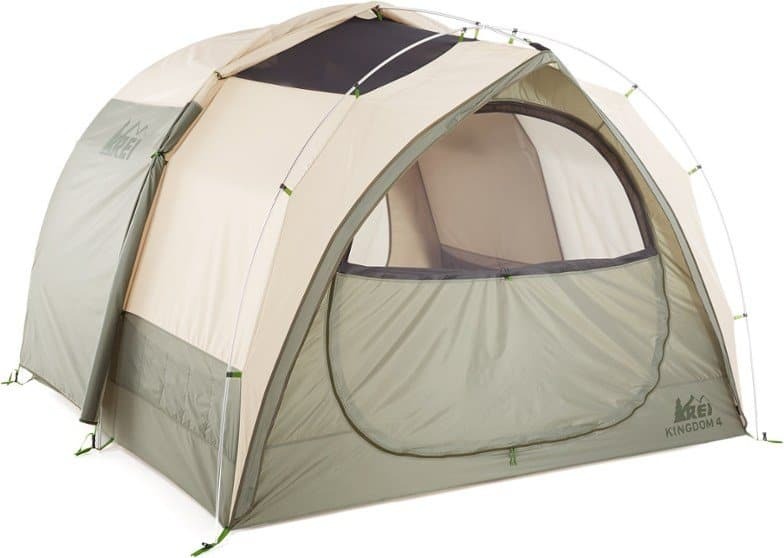 The REI Kingdom tent series has a few different models. The Kingdom 6 is actually their best-selling model, but its large size can be overkill for many outdoor enthusiasts. The perfect alternative is the Kingdom 4 tent, whose four-person capacity is more than enough space for 2 or 3 adults along with their gear. The Kingdom 4 is designed to be a 3-season tent for spring, summer, and fall camping. The overall design of this model, like the other Kingdom tents, is quite open and airy. While some 4P tents can be a bit cramped for four adults, the Kingdom 4 is plenty spacious. Depending upon your needs and expectations, the Kingdom 4 might be a great deal. The Kingdom 4 is primarily designed as a car camping tent, meaning this isn’t a suitable model for backpackers due to weight (more on that later). This hefty 3-season tent weighs in at 18lbs 8oz with dimensions of 25.5″ x 8.5″ x 15″. It is a freestanding tent and comes with everything you need, with an additional footprint sold separately. REI clearly did a great job at designing the Kingdom 4 tent. On their website you’ll find that this model has a 4.3 out of 5 star rating, with the majority of customers being quite happy with their purchase. Based on the feature list alone it’s easy to guess why people love the Kingdom 4, but here are four main advantages summed up. 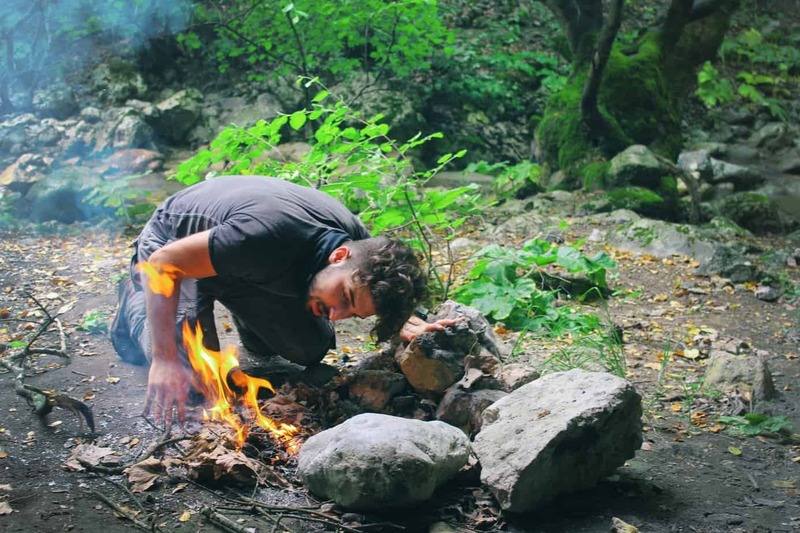 If you camp often and throughout spring, summer, and fall, you’ll find that the Kingdom 4 will serve you well. It offers protection from rain and winds, plus with the right sleeping bag and apparel you’ll be plenty warm during chilly spring or fall nights. This tent is still quite comfortable in hot weather as well. If there isn’t a chance of rain, simply remove the rainfly. The bug-proof mesh will keep insects away and allow a pleasant breeze through the tent. Although not recommended, quite a few people have taken their Kingdom 4 out during mild winter camping trips without issue. The combination of vertical walls and a rectangular floor plan really maximizes the space in the Kingdom 4. With floor dimensions of just over 8′ x 8′, there’s more than enough space for 4 average-sized adults. The vestibule helps with keeping gear covered as well. Many people that do buy the Kingdom 4 do so for 2 or 3 people, in which case this model would be quite roomy. The peak ceiling height is nearly 6′ 3″ which means most people would easily be able to stand up within the tent. You can further expand the space of the Kingdom 4 by purchasing add-ons. One very cool advantage of the Kingdom 4 is that it has the Connect Tech zipper attachment, which allows you to attach additional living areas or storage garages directly to the tent. Two very useful attachments are the REI Connect Tech Vestibule and Kingdom Garage. The Garage sells separately for $99.95 and is worth every penny if you want additional space. The Kingdom Garage is specifically designed for the Kingdom series tents. It adds 61 sq ft of vestibule space, which is roughly 121″ x 85.5″. The Kingdom 4 retails for $389 direct from REI. This price is a little more than other “bargain brands”, but it still less money than similar style tents from big brands. 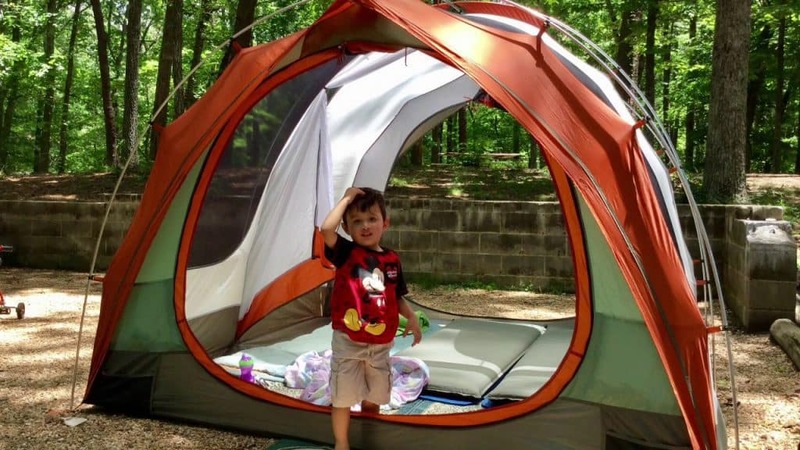 When it comes down to cost versus value, this tent does very well. When properly cared for you can expect many seasons of use from this tent without worry. REI also honors their 100% satisfaction guarantee, if it turns out that the Kingdom 4 doesn’t end up being the shelter you need. Before you purchase the Kingdom 4, consider these 2 drawbacks. The tent floor of the Kingdom 4 is seam-sealed and has a cut-in floor. For the most part, this eliminates water from entering. However, some people have experienced leaks during heavy rains or rain combined with wind. It’s worth it to treat the exterior of the tent, particularly the exterior of the floor, with a spray- or wipe-on sealant. The Kingdom 4 isn’t necessarily a difficult tent to setup, but the first few times you do might be tricky. It’s best to look on YouTube for video instruction on setting it up properly. An average height man should be able to get set it up without help, but having someone else on hand is helpful for situating the center pole. The Kingdom 4 comes with the additional stakes and guylines you need, but those that camp in very high winds might need to bring along additional stakes for security. The Kingdom 4 tent really only has one drawback, which is the lack of a waterproof tent floor. However, the use of a footprint and proper location (i.e. not in a low spot) should prevent any real issues with water. Many more people don’t have issues with water leaks than those that do after all. The Kingdom 4 tent is a great choice for anyone that wants plenty of space for themselves and a partner or for a true group of four that don’t want to be bumping each other all night. The single vestibule is plenty roomy enough for gear and the addition of the awning really helps to keep the rain at bay. All in all, the Kingdom 4 is a very well-made tent that is worth the price.